Cindy deRosier: My Creative Life: It's Almost Time for the Narwhal Party! Today is Trevor's 12th birthday! 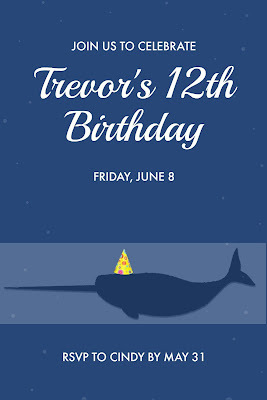 As you might have noticed in the title of the post, we will be celebrating with a narwhal-themed party. Trevor has chosen some really fun party themes over the years and once again, he did not disappoint! 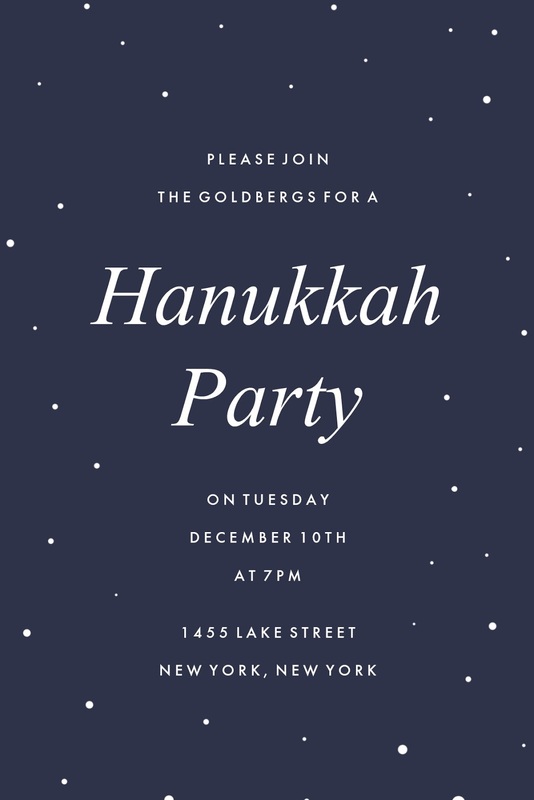 The template I started with is called "Hanukkah Partaaay." 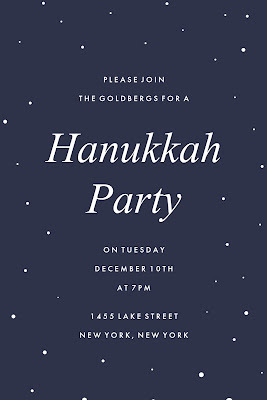 It's 6" x 4", which makes it so easy to print invitations inexpenisely. 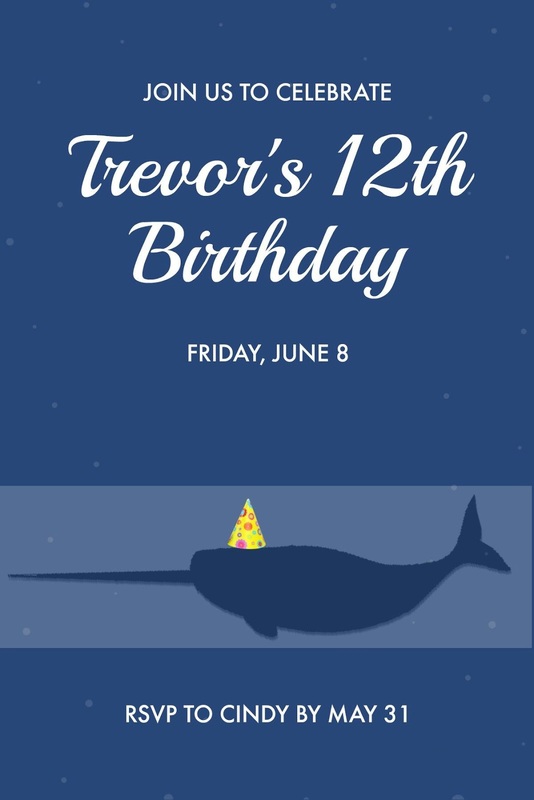 As you can see, I lightened the blue, moved the text, switched out the larger of the two fonts, added a rectangular overlay, added a narwhal, and topped him with a party hat. Quick and easy! Next week I'll share the decorations, cupcakes, and other narwhal-themed touches from the party. Happy birthday, Trevor! Cute.... and a narwal party?! Creative choice! Can't wait to see more! HAPPY BIRTHDAY Trevor!!!!!!! Loving that invite!!!!!!! Happy belated birthday to Trevor! He's TWELVE already? Where did the time go? I love your cool and creative invitation and can't wait to see all of the festivities, too!